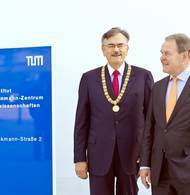 With the construction of the Hans Eisenmann-Zentrum for agricultural studies, Technische Universität München (TUM) has reached another milestone on its path to reforming its Life Sciences Campus. 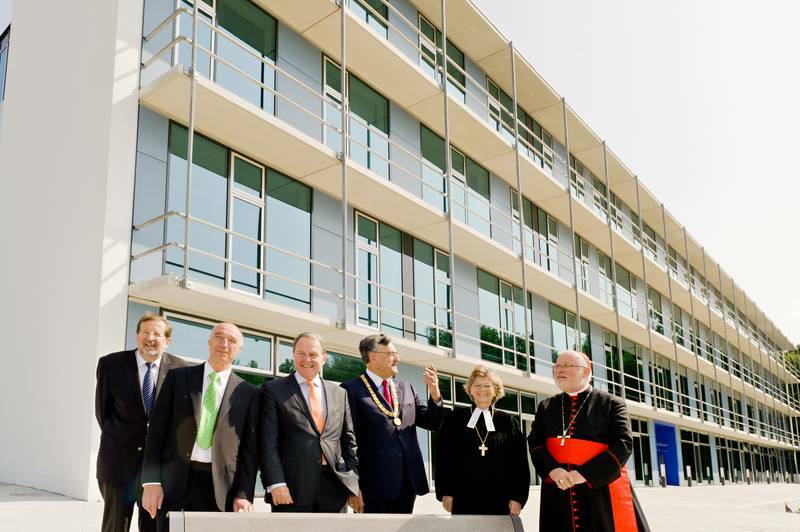 The new building on the Weihenstephan campus symbolizes the success of the Hans Eisenmann-Zentrum, founded in 2008 to provide a multidisciplinary platform networking basic and applied research. Together with the International Beverage Research Center (iGZW) in Weihenstephan, opened in April 2013, the newly inaugurated research building is the most recent installment in the reform policy that began 15 years ago at TUM’s Life Sciences Campus. Earlier additions include the central library, the “Research Center for Nutrition and Food Sciences” and the relocation of the biology and food chemistry faculties to this campus. 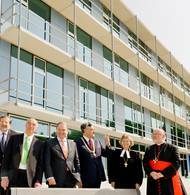 More than EUR 150 million was invested in buildings along under the umbrella of this wide-ranging structural reform. 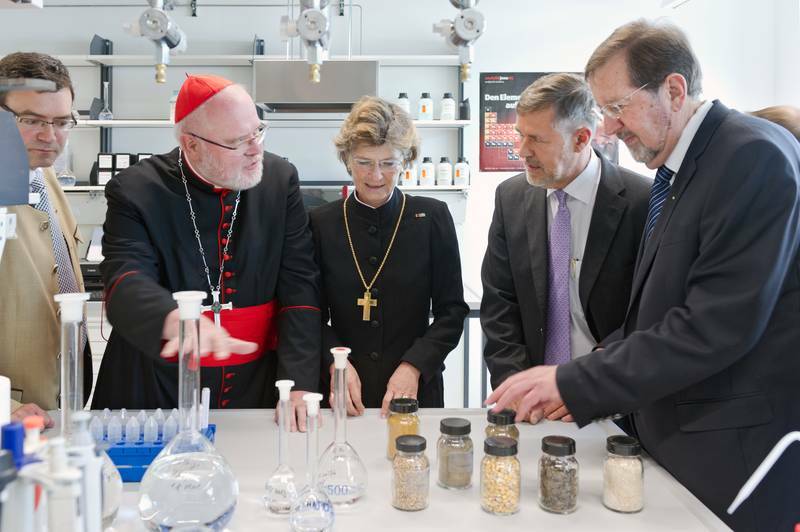 The Hans Eisenmann-Zentrum was founded in 2008 as a cross-regional cluster aimed at strengthening the agricultural sciences. 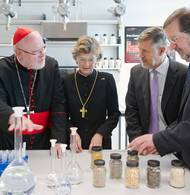 As a hub for sharing knowledge and technology in the agricultural sciences, the center has 29 specialist professorships spread across a range of disciplines, including veterinary and horticulture, ecology, ecosystem management, agricultural economics and consumer research. 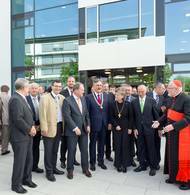 The new building, which cost around EUR 20 million, was financed by the sale of the former TUM research farm, Hirschau. 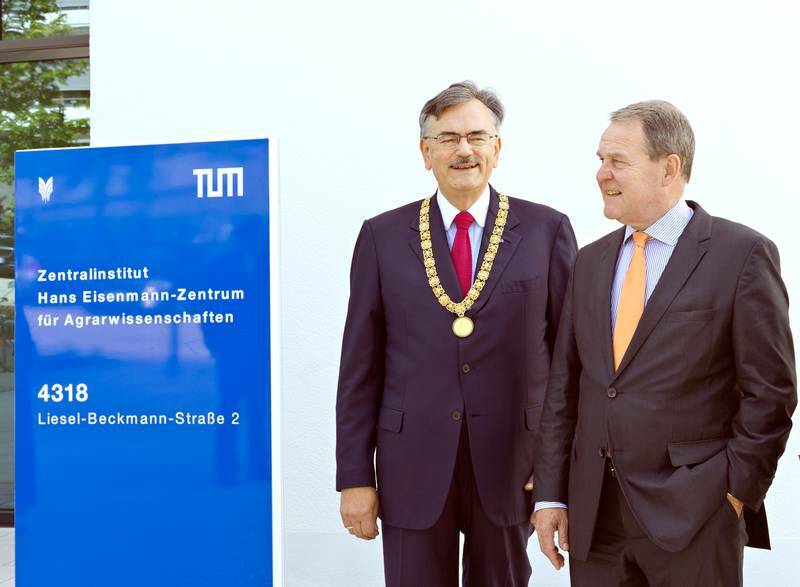 The center was named after TUM alumnus and former Bavarian minister for agriculture, Hans Eisenmann, who was one of the main driving forces behind the new Weihenstephan campus during the 1970s. 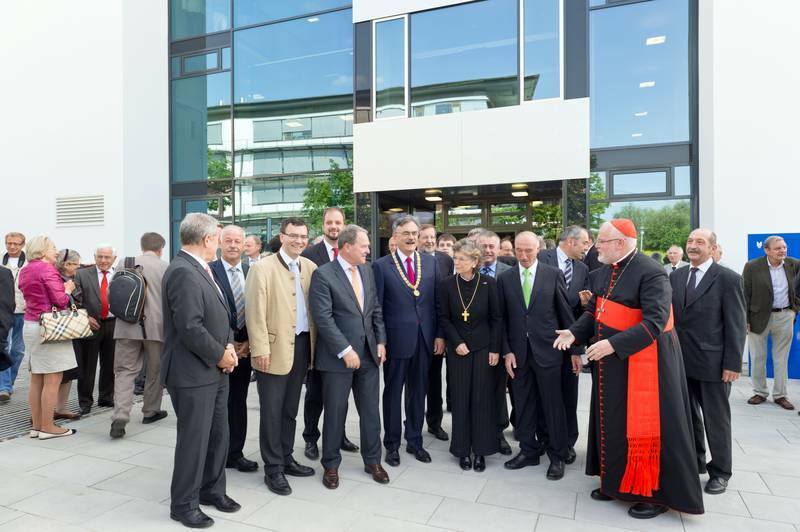 The new 3,200 or so square-meter building houses laboratories, seminar rooms and offices. The Chairs of Animal Nutrition (Prof. Wolfgang Windisch), Organic Agriculture and Agronomy (Prof. Kurt-Jürgen Hülsbergen) and Plant Breeding (Prof. Chris-Carolin Schön), as well as associate professorships in biostatistics (Prof. Donna Ankerst) and population genetics (Prof. Aurélien Tellier) are all based in the new building. It is also the main office of the Hans Eisenmann-Zentrum.